For secure self storage in Fareham that you can access 24 hours a day, call or visit Safestore’s newly acquired Alligator Storage store. We have units ranging in size from lockers to warehouses, both indoor and outdoor; we’re easy to reach by road or rail and handy for self storage near Gosport and Portsmouth. We’re on Sharlands Road, just off Newgate Lane (B3385), not far from the M27 and Gosport/Fareham Road (A32). For SATNAV use PO14 1RD (Sharlands Road). The nearest railway station is Fareham; take the E1 bus to Palmerston Drive, a 5 minute walk from Safestore. Call our friendly team at Fareham direct 7 days a week on 01329 229 970, click to book online or fill in our contact form and one of our colleagues will get back to you as soon as possible to discuss how we can help you. We provide secure self-storage units that range in size from lockers of 16 sq ft (about the size of a car boot) up to 160 sq ft (which would easily accommodate the contents of your home or your business stock and equipment). Our video guides can help you to picture the available size options, or you can speak to one of our friendly team who can advise on the ideal size of unit for your needs. You can upsize or downsize your space at any time with no hidden fees. Safestore Self Storage Fareham is conveniently located for those looking for storage in the following areas: Boarhunt, Gosport, Hedge End, Hook, Knowle, Knowle Village, Lee-on-the-solent, Locksheath, Portchester, Segensworth, Stubbington, Titchfield, Warsash and Whiteley. Fareham benefits from having excellent transport links to London, Gosport, Portsmouth and Southampton via the M27 and well-connected railway line. Fareham’s town centre has some lovely Georgian architecture and evidence of recent investment in leisure and entertainment facilities - for example, it has recently developed its leisure centre, and the waterfront features a golf course (Cams Hall Estate) that offers spectacular views across the attractive arena. It’s a great place to live, with beautiful countryside in the form of the South Downs National Park and Meon Valley on its doorstep and a short journey to the coast. Property is relatively affordable and there are plenty of good and outstanding schools to choose from. According to the Office for National Statistics, Fareham residents rate their overall life satisfaction and happiness at an impressive 7.6 out of 10. 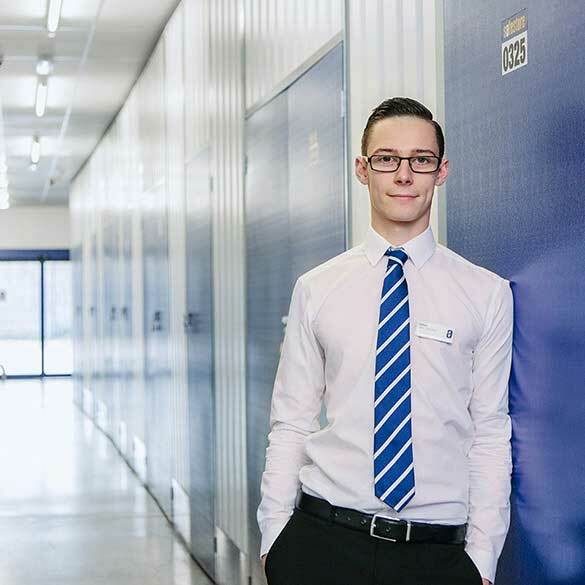 If you live, work or study in the area and need personal, business or student storage, give us a call or click to reserve an affordable secure self-storage unit at our Fareham store with no deposit to pay. Whether you need space for your camping or sports gear, your furniture and furnishings (perhaps whilst you move house or renovate), your business archives or excess stock, we can help. Stay for just a week or for as long as you need and our flexible storage contracts mean you'll only pay for the size of storage that you need. We have a range of storage solutions at Fareham Safestore, whether you are moving house or just need some space to store your things. Use our storage size tool to help you decide what you need. Get 50% off storage for up to 8 weeks at Safestore Fareham with no minimum stay. Offer available at all UK Safestore centres. Get a storage quote at Safestore Fareham today and reserve a unit for free. When you move in we won't need a security deposit either. Get 20% off at Safestore Fareham if you agree a stay for longer than 12 months. Terms apply. Agincourt Removals has been trading successfully since 1999 and has thousands of very satisfied customers. Located in Portsmouth, Hampshire, we pride ourselves on treating your furniture and belongings as if they were our own. We offer a full packing service with extreme care and detail to attention at all times. From single items to a mansion, we move it all.